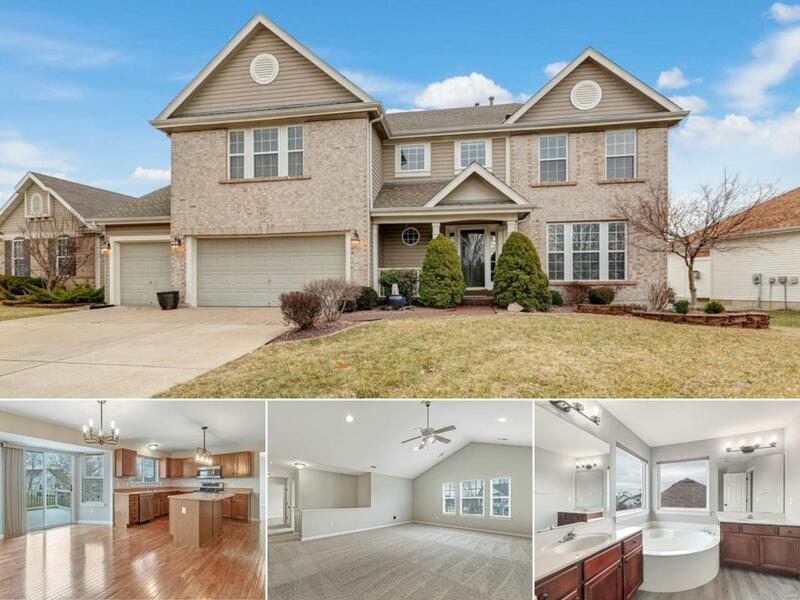 Beautiful 2-story brick home in Winghaven is ready for proud new owners! 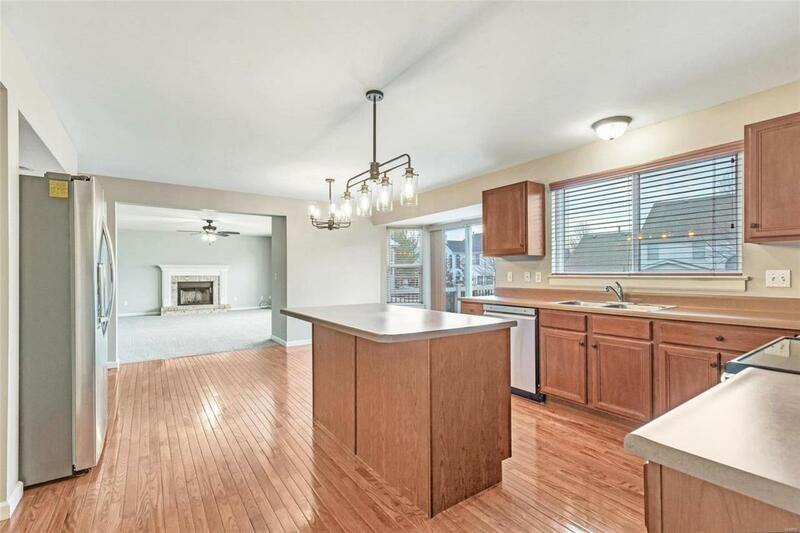 With over 3,400 square feet there is plenty of space for everyone. 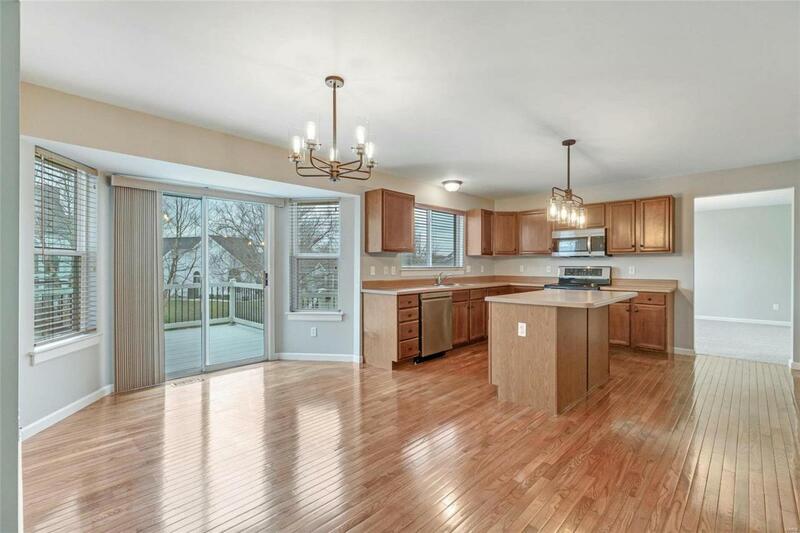 The main floor features a spacious living, family, dining room, and eat in kitchen. Upstairs your greeted with a vaulted ceiling in the massive loft/bonus room. The master bedroom has his & her walk in closets, vaulted ceiling, & new laminate flooring. You'll love the master bathroom with his & her vanities, shower, and garden soaking tub. Two of the secondary bedrooms share a jack-n-jill bath and the 3rd has a private bathroom. 2nd floor laundry room completes the upper level. The unfinished walk out basement is roughed in and awaiting your finishes. 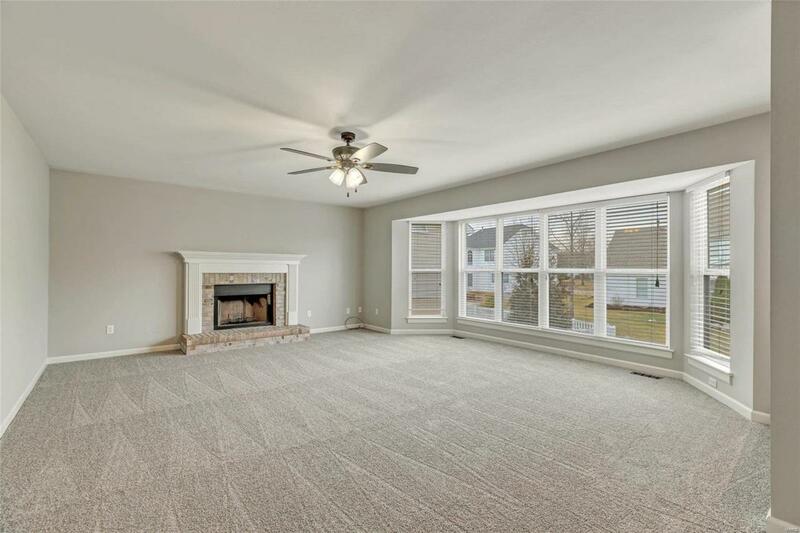 Zoned HVAC, maintenance free deck, and oversized 3 car garage, professionally painted, new carpeting throughout, BRAND NEW never used LG stainless steel appliances (including side by side refrigerator) all that you'll need to do is move in! Don't delay, schedule a time to see this home today!